Cute baby deer in Nara, Japan. There are roughly 1200 semiwild deer living in Nara, Japan. 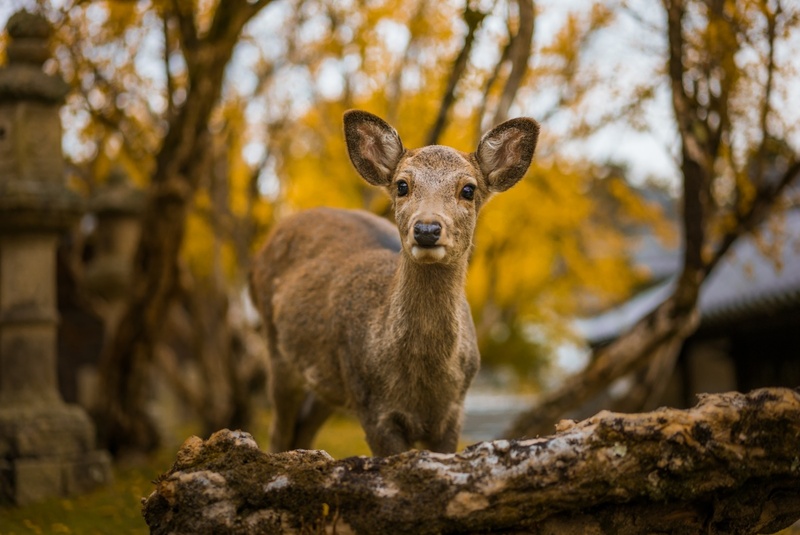 They are really cool and super eager for “deer cookies” which are sold widely around Nara park where they usually hang out. Basically we spent two days whole just walking around and feeding them. Great fun. Nara is a great place to visit in Japan. It’s compact sized, food is really good and some of the most Japans impressive cultural sites can be found in the area such as worlds biggest bronze Buddha statue.